BUGLERS trumped George Bar & Grill 30-29 in their debut Premier Division match. George started well, putting the first few points on the board. Buglers made some excellent passes into the D, but struggled initially to find the net. George showed off their defensive skills, denying Buglers opportunity to score. This momentum continued through the first half of the match, with George pulling ahead by five goals at half-time. Buglers came back strong through the second half, working well as a team and increasing their defensive pressure. GA, Kat Frampton moved effectively in the circle, allowing her feeders to work the ball around to gain great shooting positions for the Buglers shooters. The final quarter saw a shift in dominance, with Buglers scoring 10 goals in the quarter, just enough to secure their first win in the Premier Division. GUNGHO went in guns blazing, quickly asserting their dominance in a fast-paced 52-29 win over Cresta Leisure. The speed of GA, Jamie Brown, led to some excellent drives into the circle, creating great scoring opportunities for her team. Cresta fought back with some expert interceptions but were unable to convert these into points. The mid quarters saw Cresta gain ground, using experience and skill to gain ground. Cresta GS, Carolyn Allgood, displayed phenomenal shooting accuracy, despite excellent defence from Gungho GK, Lou Robertson. Gungho made positional changes in the third quarter, using the impressive depth of their players’ skills to interrupt Cresta’s flow. Seasoned experts Cresta, however, continued to play their own game right to the final whistle. WA, Kate Sanderson, worked tirelessly to feed the ball to her shooters, in spite of Gungho’s formidable defence as the latter sealed a comfortable win. EXPERT Catering started well in their 38-12 win over Exe Training, with excellent attacking play from C, Emma Bright and intuitive passing to GA, Bryony White whose accurate shooting quickly built a lead for her team. Exe Training worked hard to stem this flow, with great defence from GD, Maisie Amos. Exe Training continued to work hard to counteract Expert Caterings cohesive gameplay, with C, Laura Alexandra, working hard across the court in both attack and defence. 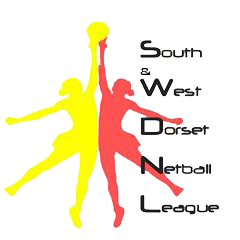 The final quarter saw spectacular shooting from both teams as shooters managed to score from the outer edges of the circle but Exe Training were unable to stem the flow of their opponents. BOTH teams started strong with DDBI taking an early lead in their 45-25 loss to Allways who soon settled into the match and started gaining ground. The symmetry between Allways’ shooters helped overcome DDBI’s defence but some errors from Allways allowed DDBI to even the score in the first quarter. Allways continued to look strong through the mid quarters, with well-timed interceptions from GD, Gilly Woodsford, winning ball back for her team. Allways started to pull ahead, building a 13-goal lead going into the last quarter. DDBI made tactical changes in an effort to disrupt Allways’ flow but the strong teamwork from Allways players and the pinpoint accuracy of GS, Hennie Green, allowed Allways to walk away with a comfortable win.